Would you like to schedule a private session to create a special piece of art for yourself or a loved one? Two to three hour sessions are scheduled evenings and weekends in New York City. Please contact me with any questions and to set up a date! Couples are accepted. Prices determined by size and complexity of image, starting at $500. See below for examples and commission options from photographs. Sketched during a live session. Photo captured from a live session and drawing was completed over a one month period. 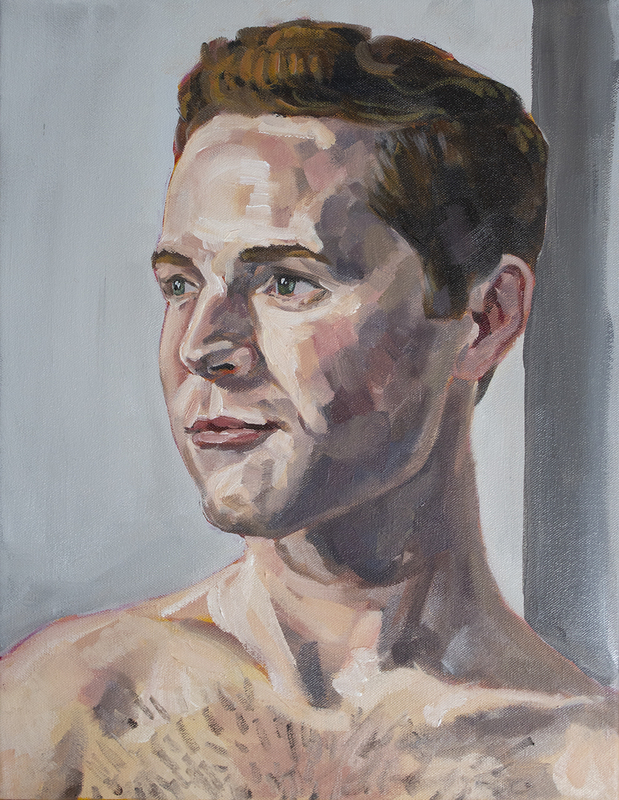 Evan, 18x14 inches, oil on canvas. Shaun, 16x12 inches, pen & watercolor. Painted during a live session. Untitled, 42 x 42 inches, pencil. Created from an inspiration image, provided by the customer. Commissions can be completed in a variety of mediums. Prices vary based on size, medium, and complexity. See some examples below. Please contact me to set something up!